A man rides an electric scooter in Lille, northern France on June 23, 2018. In the late 1800s, American cities were deluged by a new form of transportation: the bicycle. Suddenly young people on two wheels were zipping up and down urban thoroughfares where pedestrians, horse-drawn carriages and trolleys had once negotiated a working coexistence. Not everyone was thrilled with this development. Many blamed speeding cyclists — known as “scorchers” — for frightening animals and imperiling people on foot, and police departments organized special squads to chase them down. As the cycling craze spread, the law was forced to contend with a vehicle for which it had no prior model. Under what statue could a reckless cyclist be charged? Should pedal-powered vehicles travel alongside pedestrians, or were they more like wagons and carriages? Could cities and towns simply ban bikes from public streets? More than a century later, that confusion is echoed by the uncertainty surrounding another new mode of transportation: the stand-up electric scooter. As dockless scooter rental companies deploy their fleets in cities from San Francisco to the Boston suburbs and beyond, the public and officials have so far been divided over whether the miniature vehicles are a convenience or a nuisance, as well as how — or whether — cities should accommodate them. 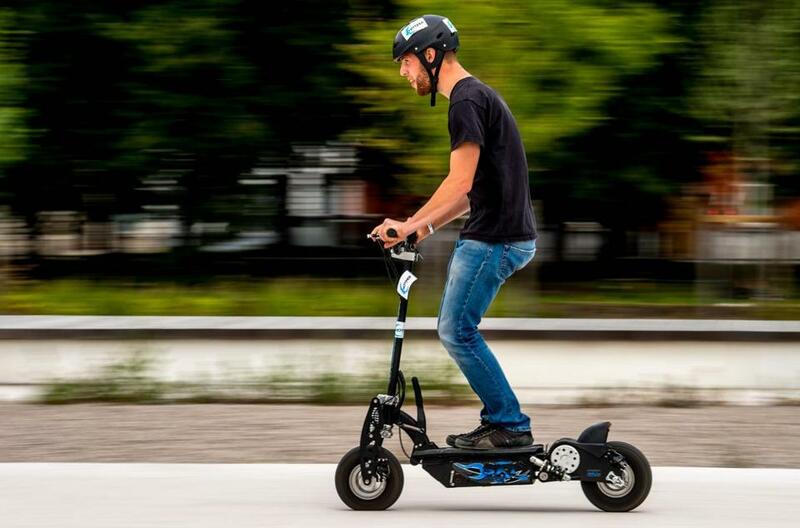 Part of the problem is that existing law never anticipated e-scooters, says Jesse Halfon, a Michigan attorney specializing in automotive and mobility law. Established bicycle law doesn’t apply, he says, since unlike a traditional bike, e-scooters are motorized. But that doesn’t make e-scooters mopeds — even though a Massachusetts law requiring those mini-motorcycles to have brake lights and turn signals has caused consternation for scooter start-ups. 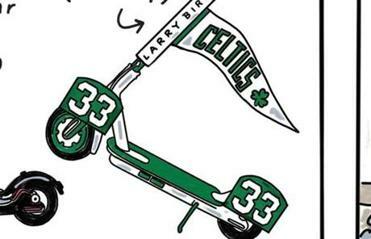 Some residents and officials resisted Bird scooters coming into Greater Boston. Maybe the scooters just need to focus more on Boston itself. Electric scooters — whether owned or rented — along with e-bikes and other new modes of so-called “micro-mobility,” could fill gaps in transit networks and even help wean urbanites off the automobile. But for that to happen, cities and states will have to clarify the rights and responsibilities of companies and riders. Until recently, the local transportation landscape hadn’t changed much in the United States since triumph of the privately owned automobile in the 20th century. Over the past decade, though, there’s been a proliferation of startups — of which e-scooter companies like Lime and Bird are only the latest — whose customers use smartphones to access shared fleets of vehicles. Yet our laws are slow to anticipate new ways of getting around — and slow to react when they suddenly emerge. Still, the recent proliferation of new options may give local officials no choice. The legal framework they develop will determine whether a promising new mode becomes a permanent part of our cities’ transportation ecosystem — or whether it’s a passing fad. With its patchy transit system, steep terrain and population of young tech enthusiasts, San Francisco should have been an ideal place to pilot e-scooters. But when three startups launched their services there last March, many residents were enraged. They argued that scooters on the sidewalk posed a danger to pedestrians, while improperly parked units blocked ramps meant for wheelchair users and posed a fall hazard for the elderly. Two months after the initial launch — which happened without official permission — the San Francisco Municipal Transportation Agency temporarily banned e-scooters, ordering the companies to round up and warehouse their vehicles. While some cities, including Cambridge, Indianapolis, and Los Angeles, initially saw scooters as an uninvited menace, others accepted their inevitability and scrambled to set conditions in advance. Detroit, for example, published guidelines by which scooter companies and users could avoid violating existing city ordinances around “public nuisance” and obstruction of streets and sidewalks. A laundry list of parking requirements included not leaving scooters within 6 feet of a bench, drinking fountain or public art. Mark de la Vergne, who was appointed the Motor City’s first “chief of mobility innovation” in 2016, can’t say whether most users are aware of these fine-grained guidelines, but he notes that Detroiters have logged 100,000 scooter rides since the services were launched in July, and so far there have been few complaints about reckless users or poorly-parked vehicles. While regulatory clarity may go a long way toward preventing some of the public-relations problems that initially plagued scooters, there’s also a danger that overly specific rules could have a stifling effect — especially if they create opportunities for the anti-scooter set to push for crackdowns. There are many startups whose customers use smartphones to access shared fleets of vehicles. Yet our laws are slow to anticipate new ways of getting around — and slow to react when they suddenly emerge. There is also the matter of whether rules should be handed down primarily by municipalities — which generally control the use of their own streets and sidewalks — or by states, which are usually in charge of safety standards and vehicle requirements. Some micro-mobility start-ups, like ride-hailing companies before them, are already lobbying states for friendlier regulations that in some cases may preempt local preferences. The scooter company Bird, for example, successfully backed a California bill to lift a helmet requirement — much to the chagrin of officials in cities like Santa Monica and San Francisco. That’s something Mullen argues could be dangerous at a time when cities are just beginning to get over their hostile initial reactions to micro-mobility. Of course, if cities and scooters are really going to get along, it will take more than just new regulations — it will take new infrastructure. Sarah Kaufman, associate director of the Rudin Center for Transportation Policy and Management at New York University, argues for expanding cities’ networks of bicycle lanes, which she says should be reimagined as pathways for any small, low-speed vehicle, including those we have yet to imagine. Whether it’s scooters, hover boards or electric unicycles (yes, they exist), perhaps the most important lesson for cities and states working to regulate micro-mobility is the need to stay nimble. Predicting — and accommodating — the next transportation revolution may be impossible. Take, for example, the original micro-mobility mode. By the turn of the 20th century, bicycles’ right to the road was fairly well established by a body of case law and legislation. In 1887, New York State declared a bicycle to be a “carriage,” giving its operator the same rights and responsibilities as any horse-powered conveyance. Swift v. Topeka, an 1890 Kansas supreme court case with an aptly named plaintiff, established cyclists’ right to travel alongside other vehicles, as well as municipalities’ right to ban them from the sidewalk. As the law made a place for pedal power, “wheelmen’s clubs” also fought successfully for paved streets and long-distance bike paths, and for a time bikes appeared to represent the future of transportation. Had it worked out that way, our cities might look profoundly different today. Instead, bike advocacy helped make room, in the law and on the road, for the next novel mode of transportation: the automobile. Amy Crawford is a writer living in Michigan. Follow her on Twitter @amymcrawf.